Happy weekend my friends. 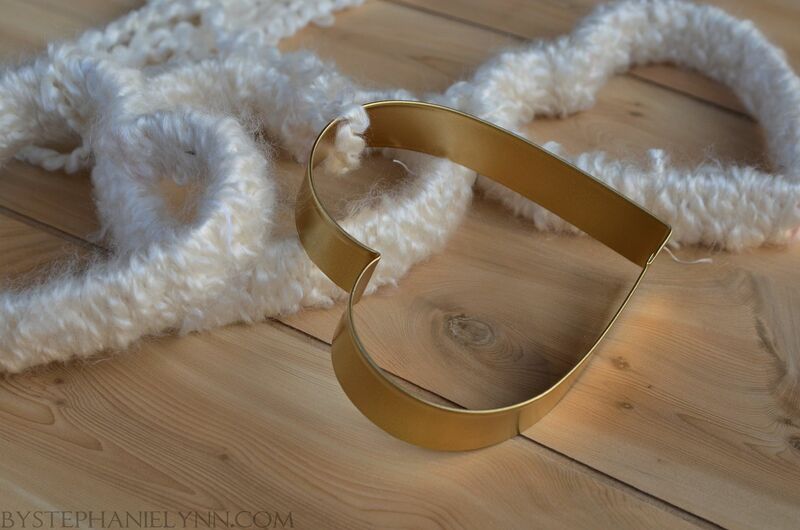 Wanted to pop in and show you my Valentine’s Day wreath – which took all of a few minutes to put together. I used some of the large cookie cutters left over from the cookie cutter bird feeders CJ and I made the other day. 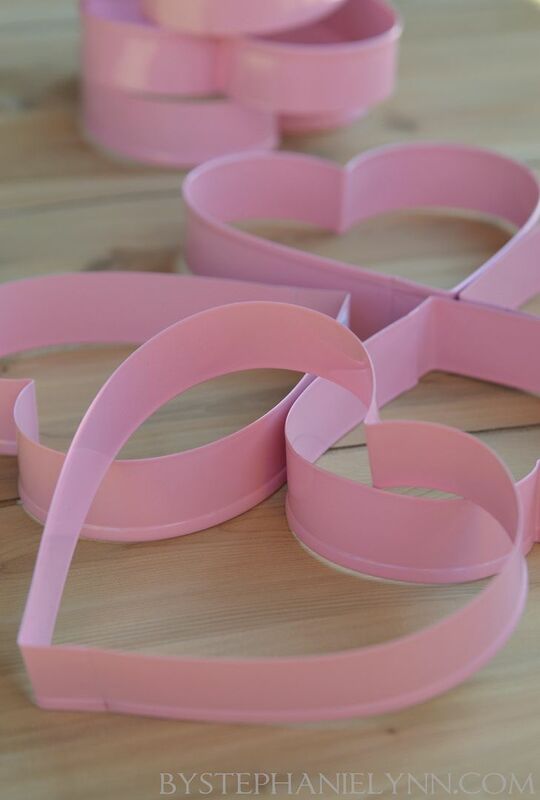 I bought several of them last year, after Valentine’s Day – they were just a few cents a piece. 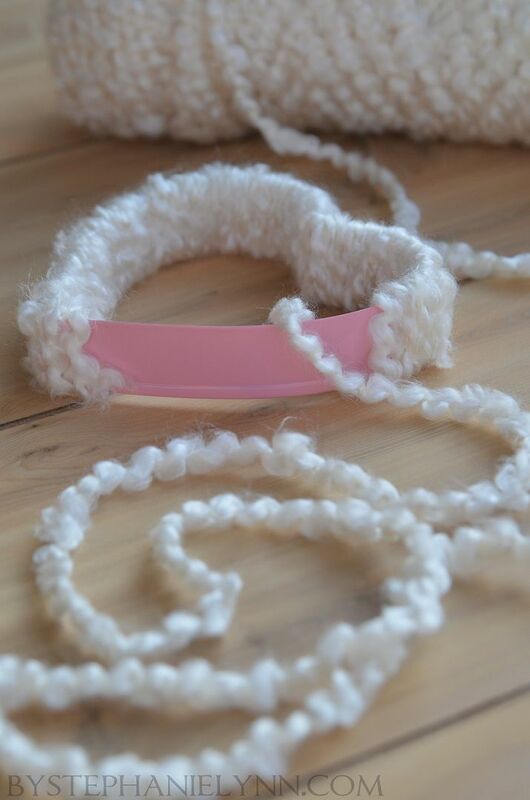 Each cookie cutter was wrapped with some soft homespun yarn. And one was spray painted gold. Just a quick and simple update. …a subtle touch of love. 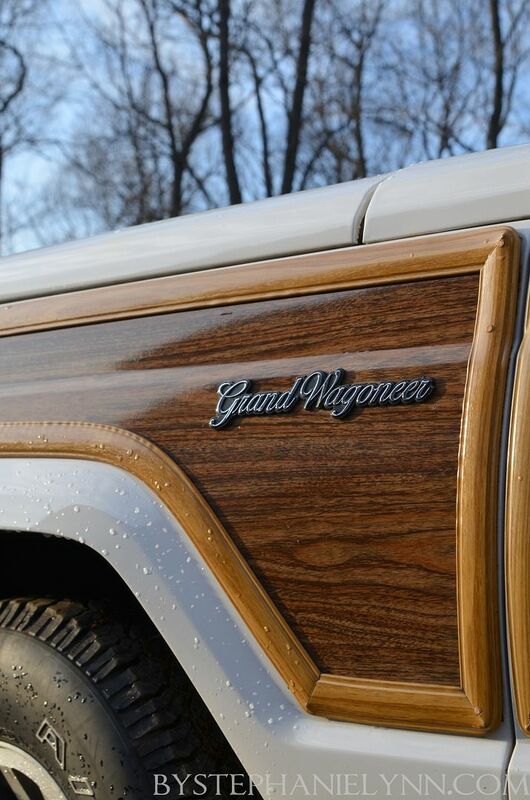 While we are on the topic of salvaged items…..
It’s a 1990 Jeep Grand Wagoneer. 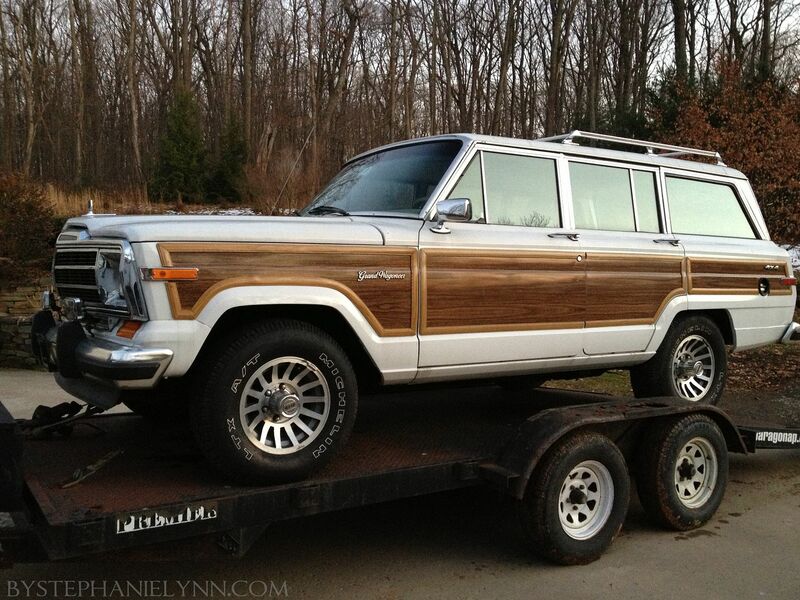 to add to our Jeep collection. I am beyond thrilled and can not wait to go for a cruise. Woody will hopefully never get to see Butch’s Rock Pile …. We are hoping to keep it looking as close to the original stock truck with as little modifications as possible – even though that is going to be hard for my off road enthused big boy. It really doesn’t need a lot of work just a bunch of little things here and there. Something to keep Butch from going stir crazy these last few months of winter. Though it may not be for everyone – I just adore my ‘new’ ride. Hope you are having a wonderful weekend – enjoy. We also enjoy browsing the vintage ads so I’ll leave you with a few…. 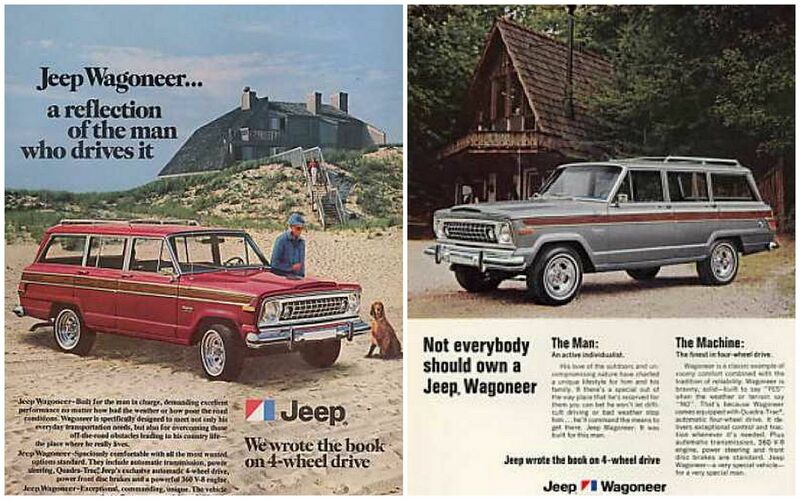 Have fun with the new “old man” Jeep. It’s terrific! 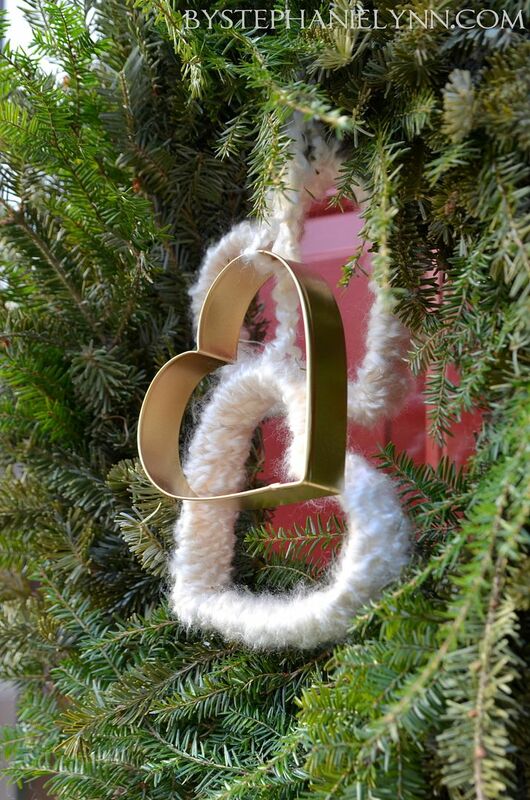 Sweet simple idea for a wreath this season! I love the old vintage ads too. Do you receive or read the magazine “Reminisce”? I find such pleasure reliving childhood moments each time I read one. 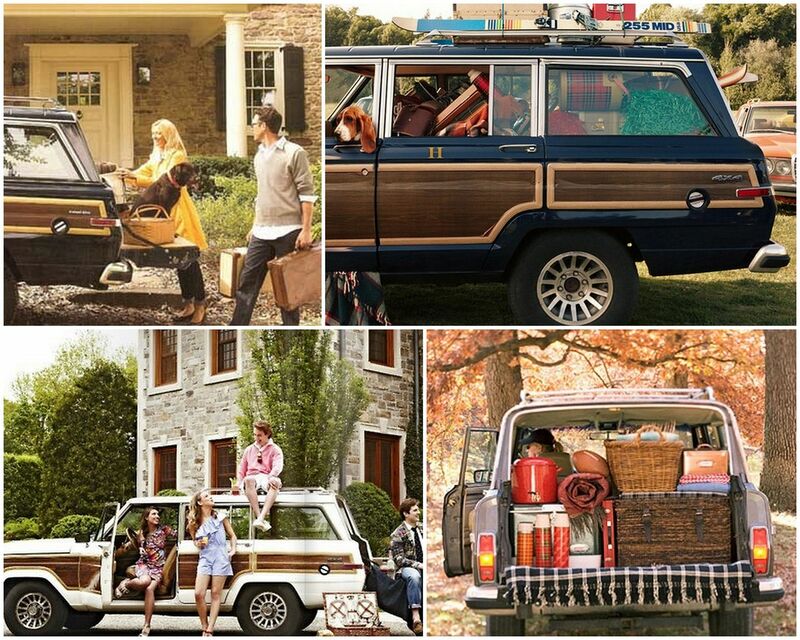 The JEEP looks wonderful! I love your wreath, what a cute idea, I love that you used your Christmas wreath for it. Have a great weekend. What a sweet wreath and a very cool Jeep! 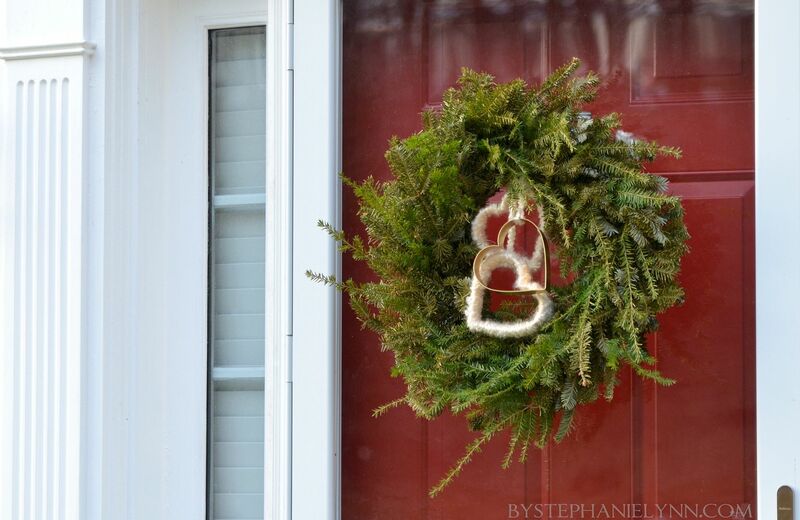 Your wreath is so simple and so pretty. Love that you kept your holiday wreath to spruce her up. The cookie cutters are great. Smart gal. Love, loving your new ride. That wagon is awesome, great shape considering it’s age. Somebody loved it alot before. What fun you’ll have cruising around in it. Lots of great room for stowing whatever you need to. I’m sure jealous. I miss my old ratty looking Suburban as it was such a great old truck. Now she sits out in yard and we use her to store seasonal clothes. She needs repairs we can’t afford. Have fun. I’m loving Woody! It would be the perfect beach buggy for me! 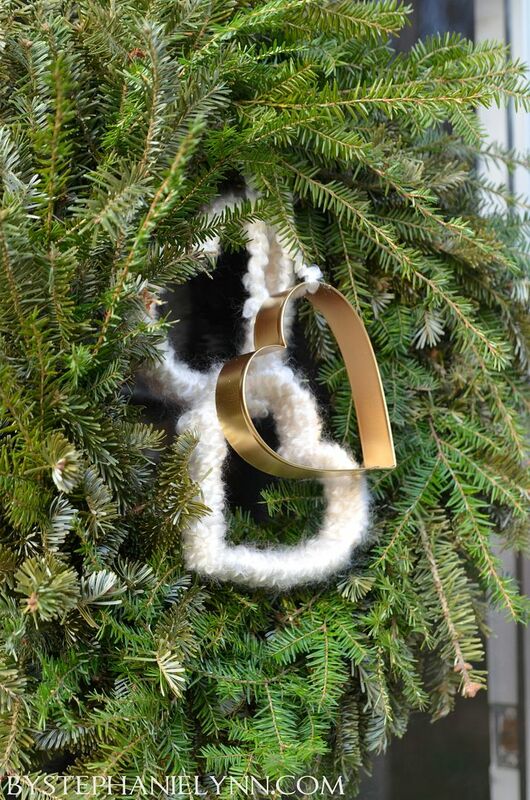 Oh – I love your wreath too! the wreath is absolutely lovely!! It’s something I could never saw here in Portugal. It’s really beautiful. The wreath turned out really sweet. I always add a touch of Valentine’s day to my Christmas wreath if it’s still alive too. Ours is doing well but I haven’t started decorating yet, so we’ll see. 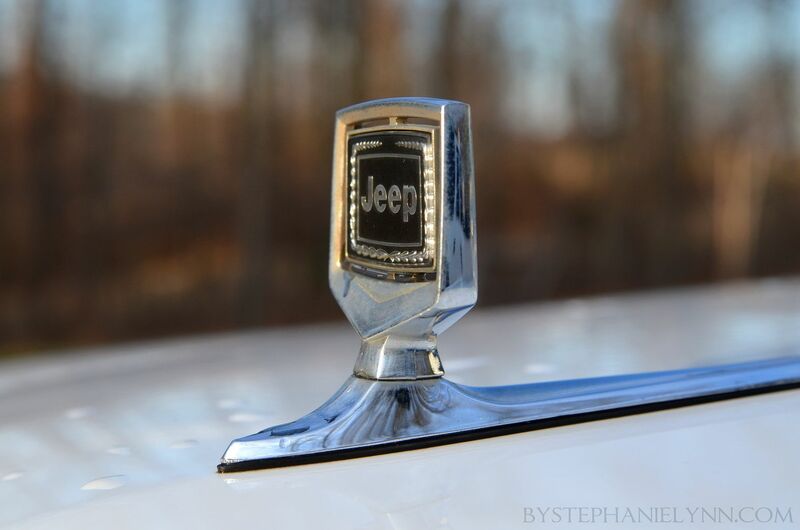 Love the Jeep! I have a WRangler that I adore! 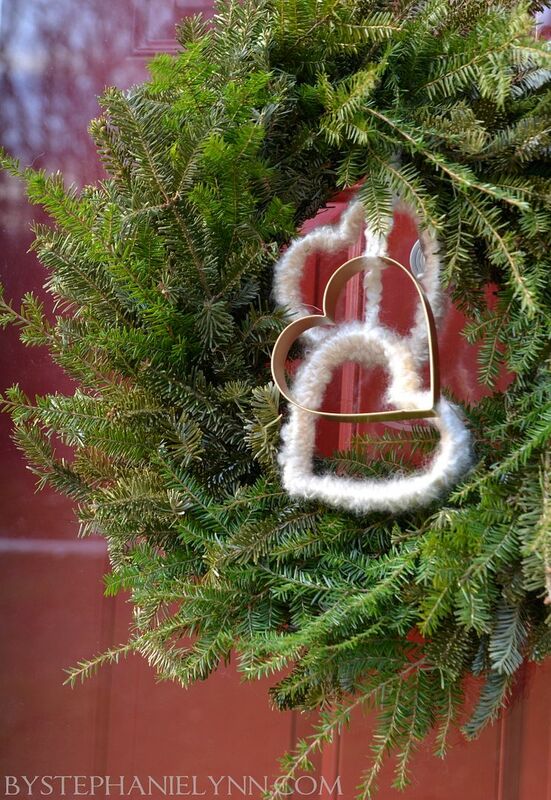 What a sweet valentine hearts on your green wreath!You just inspired me! 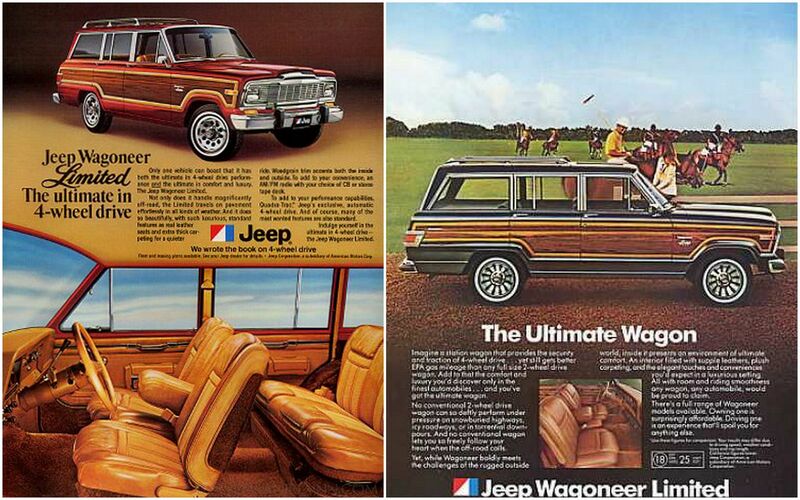 What a great jeep!Is it that long ago already 1990 wow I guess it is! We are a jeep family too! I think “Woody” has a lot of character and can certainly see why you’re excited. 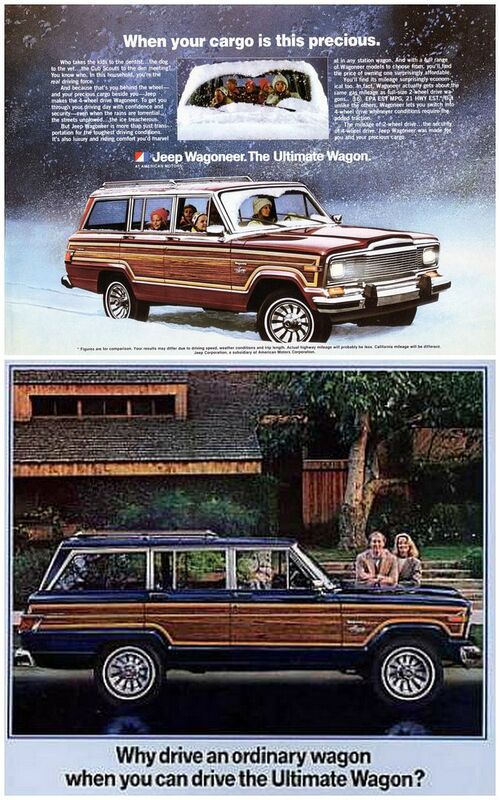 Wagoneers are hard to come by around here – you have a beauty !! Love the wreath, what a creative idea. I am inspired to get in the mood for Valentines. Just now taking down the Christmas decorations and feel your pain at the thought of disposing of the wreath. Clever way to update it!